Would Anarcho-Capitalists Allow the Earth to be Destroyed? Sasha Volokh, “Asteroid Defense and Libertarianism,” February 15, 2011. J. Bradford DeLong, “Empirical Proof that America's Libertarians Are Completely Insane...,” February 15, 2011. Robert P. Murphy, “Empirical Evidence That Brad DeLong Is Completely Obtuse,” Mises Daily, February 22, 2011. J. Bradford DeLong, “Robert Murphy Joins the ‘It’s Immoral to Tax Americans to Destroy an Asteroid’ Caucus,” February 22, 2011. Robert Murphy, “Murphy vs. Famous Keynesian,” 22 February 2011. For J. Bradford DeLong, this is proof that (pro-free market) libertarians are “completely insane” – a not unreasonable conclusion. But, in fact, such a position by them is logically consistent with their ethical theory. The difference between Austrians/pro-free market libertarians who would accept some government intervention to save the earth and those who would reject such intervention lies in their ethical theories. That is the fundmanetal point that, I think, escapes a good many people: this is about ethics, not economics per se. Nor will it do any good for anarcho-capitalists to try and evade the question by claiming that the situation imagined is “unrealistic” or “unlikely.” Hypothetical scenarios that are possible (whether likely or not) are precisely what are used in good discussions of ethical theories to test them and their implications. To refuse to answer the question of what your ethical theory says is the right thing to do in a hypothetical situation is intellectual cowardice and surrender. You may as well wave the white flag. This applies to Robert Murphy’s claim that taxes would not be needed to fund a project to save the earth, as many people would in fact give voluntarily. That may well be true, but is irrelevant to the actual moral question and simply evades it. Suppose not enough people give. Suppose more money is needed: is it moral to tax people to get that money or not? The Misesian classical liberals who believe in a minimal state and who use utilitarianism as an ethical theory could in fact justify government intervention in such a case (whether they all do so in practice, I don’t know). Their utilitarianism gives them such a justification. Natural law/natural rights-based Austrians in the tradition of Rothbard will vehemently reject all government intervention, even to save the earth, without logical inconsistency, in a way that (to them) appears rational, as that is what their ethical theory leads them to. The cold, rational reason why they are wrong is simply that their natural law/natural rights based ethics is severely flawed and untenable (an interesting starting point is L. A. Rollins, The Myth of Natural Rights). A more practical reason to reject their view is that, with no sense of the public good, and an ethical theory which would place absolute rights to property above not just a single human life but above the lives of all humans on the planet, their society would quickly destroy itself. Why? In fact, we would not need an asteroid. Anarcho-capitalism would logically require the private production, sale, ownership, and (possible) use of chemical, biological and nuclear weapons. How long would civilization last in such conditions? (see “The Different Types of Austrian Economics,” December 5, 2010). And, if there are any anarcho-capitalists who deny that this is a logical conclusion of their ideology, let them explain why chemical, biological and nuclear weapons should not be privatised. They won’t do it convincingly without some concept of the public good or consequentialist ethics. Post Keynesian Concept of Uncertainty goes Mainstream? “A New Attempt to Explain Market Inefficiency,” Economist, February 24th, 2011. This follows some good work by the New Keynesians G. A. Akerlof and R. J. Shiller in Animal Spirits: How Human Psychology drives the Economy, and Why it Matters for Global Capitalism (Princeton University Press, 2009) that clearly approaches the Post Keynesian concept of subjective expectations. All this is good news: the mainstream is catching up with Post Keynesians! Uncertainty in the sense of not being able to assign objective probabilities to economic outcomes and events in the future is an idea fundamental to Post Keynesian economics. It is perfectly true that the concept is held by other economists. The neoclassical Chicago school economist Frank Knight drew the distinction between risk and uncertainty. But have the neoclassicals ever adopted his ideas? They have not. The New Classicals and monetarists adopt the ergodic axiom and rational expectations, which are not compatible with the Keynesian/Knightian concept of uncertainty which is not measureable. Radical uncertainty – uncertainty in the Knightian sense – was also stressed by Keynes and made a fundamental part of his macroeconomic theory in the The General Theory of Employment, Interest, and Money (1936). G. L. S. Shackle (1903–1992) also adopted the idea from Keynes, and Shackle was generally classified as a hybrid Austrian/Post Keynesian (or someone who drew “Keynesian conclusions from Austrian premises”). The Austrian radical subjectivists in the tradition of Ludwig Lachmann also use the idea of uncertainty in economic systems, and correctly draw from this the conclusion that expectations are subjective. But it is quite clear that Lachmann was influenced to a considerable extent by Keynes and Shackle in this, as well as Mises, and that Lachmann criticised Mises for failing to extend subjectivism to the realm of expectations (Gloria-Palermo 1999: 128). Lachmann and the Austrian radical subjectivists supported the subjectivist nature of value, expectations, and knowledge, and Lachmann denied that free market systems tend to equilibrium or have coordinating processes, which follows logically from understanding the role of money, time and uncertainty in economic processes. But then Lachmann’s position is rejected by other Austrians like Kirzner as “nihilism,” so there are clear limits to the extent to which Austrian economics really takes these ideas seriously. The foundational idea for the Austrian praxeology of Mises and Rothbard is the human action axiom. This proposition is that all human action is rational because all action is by definition purposeful. First, one should note that this is a peculiar re-definition of the term “rational.” But let’s accept the definition for the moment. In other words, praxeology relies on deduction and requires premises that are sometimes synthetic propositions, not ones true a priori. The human action axiom says that all voluntary human action (by sane, non-mentally ill humans, of course!) is “purposeful,” and this is used in the early deductions of praxeology. Can anyone see the problem here? I think it is very clear. The human action axiom is a trivial observation that can also be held by Marxists, communists, Keynesians, neoclassicals, monetarists, or any other economist you care to name. And there is nothing significant you can deduce from it without other premises, since the most simple, useful deductive argument like the syllogism requires 2 premises to infer anything. Moreover, as even Mises noted, once you get into praxeological arguments they quickly come to use synthetic propositions – either present or hidden – that can only be verified empirically (see “Mises’ Praxeology: A Critique,” October 1, 2010). Thus empirical evidence becomes very relevant indeed. The “apodictic certainty” claimed for praxeology actually vanishes like a puff of smoke, if there is doubt about the truth of its synthetic stated and hidden assumptions or premises. And there certainly is. One example I have dealt with before is the argument for free trade by comparative advantage (see “Mises on the Ricardian Law of Association: The Flaws of Praxeology,” January 25, 2011). “Acceptance of Mises’ stated axioms does not necessarily imply acceptance of the “principles” or “applications to reality” which he has drawn from them, even though his logic may be impeccable. When a logical chain grows beyond the limits set by stated assumptions, it uses unstated assumptions. The number of unstated assumptions (axioms, postulates, or other) in Human Action is enormous. If Mises denies this, let him try to rewrite his book as a set of numbered axioms, postulates, and syllogistic inferences using, say, Russell’s Principia or, closer home, Von Neumann’s Theory of Games as a model” (Schuller 1951: 188). Another point is that any Austrian who adopts Quine’s idea that there is no meaningful distinction between analytic or synthetic propositions has destroyed the basis for the a priori status of the human action axiom. For Quine believed that no proposition is immune from possible revision of its truth by the test of experience and that there is in fact no real a priori knowledge of reality. Mises, L. 1978 . The Ultimate Foundation of Economic Science: An Essay on Method (2nd edn, Sheed Andrews & McMeel, Kansas City. The election in Ireland, with voter turnout over 70%, has seen the public throw out Fianna Fáil, the neoliberal party that has caused a depression in Ireland (see “Ireland’s Sham Recovery: GNP versus GDP,” September 15, 2010). Voter disgust and anger with current policy is all too clear. But the trouble is that no radical and alternative economic policy has been put forward by the major parties. The new government will be a coalition of Fine Gael and Labour, with some rhetoric from the Labour party already that it will renegotiate the EU-IMF program. However, this might be doubtful in a coalition government with the centre-right Fine Gael. One other thing emerges too: the brutal neoliberal austerity of the type that has been pursued in Estonia and Latvia has now been rejected by Ireland. Unless there is a radical rejection of current policies, more Eurozone countries will be crucified on the cross of gold that is the Euro area and its disastrous neoliberal ideology. One can only shudder at the new age of austerity that is now being planned in Europe and America by neoliberals and conservatives. If the most extreme of them have their way, we will see what has happened in Latvia: depression, mass unemployment, a brain drain, falling birth rates, and mass poverty. Harry Browne, “Irish Election Makes Room for the Left,” Counterpunch.org, February 28, 2011. Daniel Finn, “Ireland on the Turn? Political and Economic Consequences of the Crash,” New Left Review 67, January-February 2011. The left – particularly the academic left – really went down a wrong path when Postmodernism and Poststructuralism started poisoning its intellectual life. If you have worked and studied in English speaking universities over the past 30 years in the humanities, I suspect you will have encountered the mind-numbing drivel that characterizes much of Postmodernist writing. One of its worst excesses was an attack on the natural sciences, exposed in all its ignorance by Alan Sokal and the now famous Sokal affair, and in more detail by Sokal and Bricmont in Intellectual Impostures: Postmodern Philosophers’ Abuse of Science (London, 1998). I will never forget the time I once wasted trying to understand Derrida, and my conclusion that Derrida’s writings are some of the worst rubbish I have ever read. As on so many other things, Chomsky is dead right on this subject (and his description of Lacan as “an amusing and perfectly self-conscious charlatan” is priceless!). Nor is he alone, as there is an equally stinging attack on Postmodernism from the philosopher John Searle, which is worth reading. The major historical issue for the left was, and still should be, economics. I certainly don’t deny the importance of social, cultural and other moral issues, but economics is the burning issue of our time. Gross, P. R. and N. Levitt, 1994. Higher Superstition: The Academic Left and its Quarrels with Science, Johns Hopkins University Press, Baltimore. Sokal, A. and J. Bricmont. 1998. Intellectual Impostures: Postmodern Philosophers’ Abuse of Science, Profile, London. A persistent myth is that Smoot Hawley was the major cause of America’s Great Depression. The Tariff Act of 1930 (or Smoot–Hawley Tariff) became law on June 17, 1930. While Smoot Hawley undoubtedly hurt foreign export-led growth nations dependent on the US market, it was not a major factor in the US contraction from 1929–1933. Another factor is that the competitive devaluations in late 1931 and 1932 that other countries engaged in probably offset to some extent the effects of Smoot Hawley for American consumers. (5) further demand shocks causing deflation in commodity prices, leading to loss of profits, more unemployment, further demand collapse, and to a vicious circle. Ethics is a complex subject, but the origin of some innate human moral intuitions is no doubt explained to some extent by evolution. Our species is about 200,000 years ago, and agriculture only emerged about 10 000 years ago. For most of our history (probably over 88% of it), we were nomadic hunter gatherers. Modern human psychology (which is partly and significantly caused by the evolved structure of the human brain) remains fundamentally the product of that evolution. Therefore our evolutionary psychology has been shaped by hunter gatherer societies. Because of genetic differences owing to sexual reproduction and environmental influences, of course there is variation in us as well, but some core traits do seem to be very prevalent. Many people have a visceral fear of spiders and snakes and this seems to come from our brain’s limbic system (see also Isbell 2006), itself created by the interactions of many genes by the process of evolution by natural selection. There is strong evidence that some of our core moral intuitions are also the result of evolution. It is even likely that the sense of “fairness” or even “entitlement” leading to the existence of common property (the ancient equivalent of public goods) or sharing the wealth (e.g., egalitarian food sharing practices amongst hunter gatherers) appears to be evolved in us as an advantage for survival. Thus one could say that the desire to “spread the wealth” is not some alien, wicked propensity caused by “evil” governments: it is in our psychology, the psychology of egalitarian, food sharing hunter gatherers. Public goods, modern welfare and social security paid for by progressive taxes are the effective modern equivalent of communal food sharing and cooperation; public property and public land the equivalent of the tribe’s common property; the widespread feelings of anger and injustice humans feel at gross inequality of wealth the equivalent of ancient egalitarianism. The particular form that morality takes in any society is of course influenced by culture and history to a significant extent, and I do not wish to ignore the role of culture here, or suggest some vulgar genetic determinism (which I personally find distasteful). Human nature and our traits are a very complex interaction of environment, culture and genes (indeed some human traits are clearly explained more by environment and culture, than by genes). There can be many differences between what is regarded as moral in one society and another, and the innate moral faculty is probably like our innate language faculty (which also has a biological basis), and can lead to quite different systems of morality in different cultures in different times, just as our core language faculty leads to different languages, with different words, grammar and syntax, even though underlying that surface diversity is Chomsky’s universal grammar, with a biological basis (attempts to deny that our language faculty is the product of evolution are disposed of by Dennett 1996: 370–400). (3) innate human psychological traits that are the product of evolution (e.g., a widespread and visceral fear of, or repulsion towards, snakes, even though most of us in industrialised nations never encounter snakes, and tobacco, sugar, alcohol or cars kill more of us today than snakes ever do). For example, belief in supernatural beings or supernatural phenomena – which is (1) above – might possibly have some psychological basis explained by human evolution (although religion is also deeply ingrained in many people by culture as well), but such belief is most probably completely wrong. Atheists can face a difficult task trying to convince people of the falsity of religion, because of widespread cultural belief in religion and the possibility of a biological and psychological basis for it. But while modern philosophy and the natural sciences can provide atheists with strong arguments in support of their position, libertarians by contrast find little support from philosophy of ethics for their natural rights-based anarcho-capitalism and the view that all taxation is theft. A proper defence of what is right and wrong must come from an objective theory of ethics, not from our psychology. Quite convincing moral justifications for government and government intervention (such as progressive taxes, basic welfare and universal health care) can easily be given through act or rule utilitarianism, Kantian ethics, the non-absolutist ethics of W. D. Ross, Rawl’s human rights objectivism, or other liberal contractarian moral theories. They could still be given even if we had no innate sense of altruism towards other people. For free market libertarians, about the only moral theory that can be used to justify absolute property rights is natural rights/natural law ethics, which has severe flaws and is untenable (itself committing the fallacy of the argument from nature too). Free market libertarians and Austrians face the double blow of advocating (1) things immoral by most objective ethical theories and (2) things that our innate sense of morality itself finds objectionable. Any libertarian/Austrian faces a hard upward battle trying to convince people of ideas that (1) seem naturally repulsive and (2) can be rejected by many knowledgeable people with a background in philosophy of ethics by using rule utilitarianism, Rawls’ ethics or other theories. The mass “conversion” of people to libertarian or Austrian philosophy (and the elimination of all taxes or public goods) is about as likely as the disappearance of the widespread human fear of snakes, which also seems to have a deeply ingrained, evolutionary and psychological basis. This of course is not a defence, or justification, of social democracy, but is a realistic statement of how things actually are with respect to human nature. By a similar process, religion, whether it is rational or not, will probably exist for a long time, for better or worse (and for the worse in my view), even though there are strong arguments against it. So our innate psychological nature, which is a legacy of our evolutionary past, cuts both ways: it has left us with some beliefs and propensities that can be justified independently and some beliefs that cannot (sometimes in ways that are pernicious). Moreover, in the case of inductive reasoning, we have a surprising mental process which appears to have been successful in general and allowed us to survive, but which might not be capable of rational justification, because of the notorious problem of induction (see “Risk and Uncertainty in Post Keynesian Economics,” Appendix 1: The Paradox of Induction?, December 8, 2010). APPENDIX 1: EVOLUTIONARY ORIGIN OF GOVERNMENT? Some people claim that the modern state has no parallel in the environment of our ancient ancestors. But the most obvious figure would be the dominant male/males of the tribe (just as in monkey and great ape groups) whose position was established by force and ability to protect other members of the group from wild animals and hostile humans from other tribes. That of course provides no serious justification for modern government or patriarchy, however. Dennett, D. C. 1996. Darwin’s Dangerous Idea: Evolution and the Meanings of Life, Penguin Books, London. Fehr, E. and U. Fischbacher, 2003, “The Nature of Human Altruism,” Nature 425 (23 October): 785–791. Henrich, J. et al., 2001. “In Search of Homo Economicus: Behavioral Experiments in 15 Small-Scale Societies,” American Economic Review 91.2: 73–78. Isbell, L. A. 2006. “Snakes as agents of evolutionary change in primate brains,” Journal of Human Evolution 51.1: 1–35. Megarry, T. 1995. Society in Prehistory: The Origins of Human Culture, New York University Press, New York. Pinker, S. 1997. How the Mind Works, W. W. Norton & Company, New York. Ridley, M. 1996. The Origins of Virtue, Viking, London. Fractional reserve banking (FRB) was an invention of the free market, and has a long history. “Roman bankers did indeed lend – much of the extensive evidence was gathered by Andreau [viz., Andreau 1987]. It can also be demonstrated, in case it needs to be, that classical banks practised fractional reserve banking – for otherwise there would have been no need in the crisis of 85 B.C. to give the bankers of Ephesus ten years to pay back their depositors. We have no evidence as to how large their reserves were normally … It has recently been asserted that ‘any interest gained on [bank] clients’ deposits had to be credited to the account of the client’, with the implication that it would have been pointless, most of the time, for them to loan such funds. But that is extremely misleading: the writer in question failed to notice that what was technically known as a depositum was only one kind of bank-deposit, generally non-interest-bearing, whereas if you wanted interest, the form of your bank-deposit would be a loan” (Harris 2006: 11; Harris 2011: 236). Roman law appears to have allowed FRB under the mutuum contract, a real contract under which a fungible good like money was lent to a bank and ownership of the money passed to the bank. The bank was required to return an equivalent fungible good or goods in terms of quality and quantity, after a certain time or on demand. The idea that FRB was illegal at Rome or considered immoral is unsubstantiated, despite Huerta de Soto (2006). Andreau, J. 1987. La vie financière dans le monde romain: les métiers de manieurs d’argent: (4e siècle av. J.-C.–3e siècle ap. J.-C.), Ecole Française de Rome, Rome. Huerta de Soto, J. 2006. Money, Bank Credit and Economic Cycles (trans. M. A. Stroup), Ludwig von Mises Institute, Auburn, Ala. While I do not agree with the free banking school, they at least present a consistent argument for laissez faire, as opposed to the logically inconsistent position of the anti-FRB Austrians like Murray Rothbard. Gene Callahan was once affiliated with the Austrian school. His blog is called Crash Landing, and is a surprising breath of fresh air. Callahan is a pro-fractional reserve banking (FRB) libertarian, and the Austrian school is in fact divided between pro- and anti-FRB wings (for the pro-FRB position, see Selgin and White 1996). The pro-FRB Austrians are in fact the only ones who really do have a logically consistent argument for free markets, economic freedom, and free contract. The anti-FRB Austrians such as Murray Rothbard hold a position that is incoherent and would require restriction of free contract and private enterprise – so in fact such Austrians, by their own demand for pure laissez faire – demand an “evil”, collectivist, anti-freedom ideology requiring limits on private liberty. The only logically-consistent Austrians are the pro-FRB and free banking ones. But such libertarians must face the fact that there is overwhelming empirical evidence from the 19th century that their free banking system had a business cycle and asset bubbles. When FRB systems collapsed – as, for example, the case of Australia in the 1890s when it had no central bank and was on the gold standard (Hickson and Turner 2002) – the result was catastrophe, a debt deflationary depression as bad as the Great Depression of the 1930s. Hickson, C. R. and J. D. Turner, 2002, “Free Banking Gone Awry: The Australian Banking Crisis of 1893,” Financial History Review 9: 147–167. This month – February, 2011 – marks the 75th anniversary of the publication of Keynes’ classic The General Theory of Employment, Interest and Money (1936), which Keynes published when he was 52. While others have celebrated the anniversary of his work more eloquently than I ever could (see Jesper Jespersen’s lecture on the 75th anniversary of the General Theory, Ann Pettifor and Victoria Chick, “Happy Anniversary, Mr. Keynes,” Bloomberg.com, February 4, 2011 and Robert Skidelsky, “The relevance of Keynes,” January 17, 2011), I cannot resist making a few comments. “Thank you for your letter. I will try to take your words to heart. There must be something in what you say, because there generally is. But I’ve made another shot at old K.[arl] M.[arx] last week, reading the Marx-Engels correspondence just published, without making much progress. I prefer Engels of the two. I can see that they invented a certain method of carrying on and a vile manner of writing, both of which their successors have maintained with fidelity. But if you tell me that they discovered a clue to the economic riddle, still I am beaten – I can discover nothing but out-of-date controversialising. To understand my state of mind, however, you have to know that I believe myself to be writing a book on economic theory which will largely revolutionalise – not, I suppose, at once but in the course of the next ten years – the way the world thinks about economic problems. When my new theory has been duly assimilated and mixed with politics and feelings and passions, I can’t predict what the final upshot will be in its effect on action and affairs. But there will be a great change, and, in particular, the Ricardian foundations of Marxism will be knocked away. (Keynes to Shaw, 1 January, 1935, quoted in Skidelsky 1992: 520–521). Here is the key to one of the greatest achievements of Keynes. He overthrew the foundations of both Classical and neoclassical economics, and avoided the errors and flaws of Marxism. Keynes in fact despised both communism and fascism (Skidelsky 1992: 485–489), and saw himself firmly in the British liberal tradition. While detractors of Keynes – whether Marxists, Austrians, and other neoclassicals – accuse of him of being a defender of capitalism, fascism, or communism (take your pick! ), in reality his destruction of neoclassical economics and the subsequent development of his ideas in Post Keynesian economics are the starting point for a democratic socialist/social democratic system that is independent of Marxism. In some ways, the full promise of Keynes’ revolution was aborted by neoclassical synthesis Keynesianism (see “Neoclassical Synthesis Keynesianism, New Keynesianism and Post Keynesianism: A Review,” July 7, 2010), but that “revolution” has been kept alive by the Cambridge Keynesians, their successors the Post Keynesians, and now by Modern Monetary Theory (which, in many ways, also owes a fundamental debt to Keynes’ thought, as well as to the work of Abba Lerner). I also suspect that a good deal of the insights of Post Keynesian economics would apply even to libertarian socialist economies where production would be conducted by worker-run enterprises. Minsky, H. P. 2008. John Maynard Keynes, McGraw-Hill, New York and London. Skidelsky, R. J. A. 1992. John Maynard Keynes: The Economist as Saviour 1920–1937, Macmillan, London. Ronald Reagan came into office on January 20, 1981. He left office on January 20, 1989. 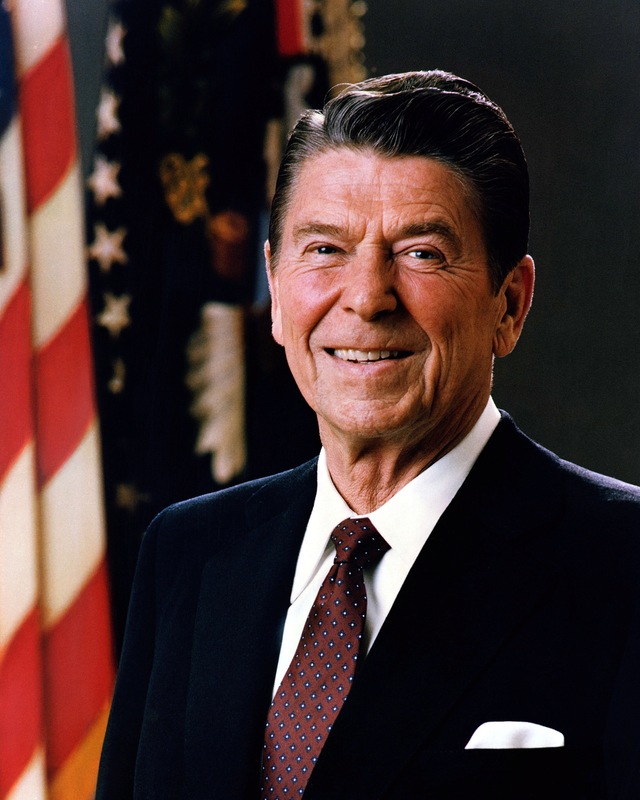 His economic policies are often dubbed Reaganomics, but in reality the various economic policies put into effect during his presidency were an eclectic mix of sometimes conflicting doctrines. I have to say I doubt whether the “Great Communicator,” who was allegedly showing increasing symptoms of Alzheimer’s in his years as president, ever properly understood the hybrid nature of his administration’s economic policies. In truth, Reagan’s economic policies were run by his advisers, and by competing factions in his administration, including (1) monetarists, (2) supply-siders, and (3) fiscal conservatives. Different factions had different agendas, and one faction had greater dominance over others at certain times. The Supply-Siders in the administration were Arthur Laffer, Martin Anderson, and Paul Craig Roberts. They appear to have been supported by Don Regan, Secretary of the Treasury from 1981–1985, and the President to some degree. David Stockman was a fiscal conservative, who opposed the Supply-Siders on their tax cuts late in 1981 (Roberts 1984: 186–187; 191–192). This opposition was made worse after his interview with the Atlantic Monthly published in December that year (W. Greider, 1981. “The Education of David Stockman,” The Atlantic Online), which appears to have been an attempt to discredit the Supply-Siders (Roberts 1984: 192–193). In the late 1980s, the outstanding Post Keynesian economist Alfred S. Eichner published a critical article analysing Reaganomics (Eichner 1988: 541–556). I base this post on his analysis. 3. the fiscal conservatives, concerned primarily with balancing the federal budget” (Eichner 1988: 544). (2) the period since then, marked by a reversal of the previously restrictive monetary policy and the delayed impact of the radically expansive fiscal policy the Reagan administration succeeded in pushing through Congress shortly after taking office”(Eichner 1988: 543). I think all this is essentially correct. Reagan’s economic policies can be divided into the (1) monetarist (or at least quasi-monetarist) period from 1981 to 1982, and (2) the supply-side period from 1982 onwards. Let’s review these two periods below. The monetarist period was directed by Paul Volcker from the Fed, and it was actually a continuation of the monetarism that he had begun under Jimmy Carter in 1979. Far from being an innovation of Reagan, the turn to monetarist doctrine was the fault of Carter (or, if you are a conservative, you might say the “credit” would have to go to Carter!). In 1979–1981, the world experienced the second of the oil shocks, and serious double digit inflation. Some policy-makers like Thatcher and Carter decided to adopt the elements of Milton Freidman’s monetarist doctrine to control inflation by controlling money supply growth. The essence of this is the belief that “inflation is always and everywhere a monetary phenomenon,” and that central bank control of the money stock or its growth rate will control inflation rates, with minimal loss of output growth and minimal unemployment. But, as Post Keynesians know, it is a myth that the central bank directly controls the broad money stock or its growth rate. “… during the 1979–1982 period, the Fed was concerned with money growth and not with fine-tuning real economic activity—behavior we have described as quasi-monetarist” (Hakes and Rose 1992–1993: 286). This quasi-monetarist policy is surely an approximation of a pure monetarist constant money growth rule, and there must be something to be learned from an approximation of an economic theory. In fact, the lesson we learn is that Volcker’s quasi-monetarism was a miserable failure, with the Fed badly missing its M1 targets (Wray 2003: 92). The Fed simply could not control M1, but this should come as no surprise to advocates of the endogenous money theory. What actually happened under Volcker is that his “floating” interest rate policy caused the federal funds rate to soar to 19% by June 1981, inducing two severe recessions, the first from January to July 1980, and the second from July 1981 to November 1982. This caused mass unemployment, crippled American manufacturing enterprises in the Midwest, and a Third World debt crisis (Galbraith 2009: 38), as the American recessions and high interest rates essentially caused a global recession (Eichner 1988: 548). The high interest rates in the US also lead to a damaging appreciation of the US dollar late in 1980, which hit US exporters hard (Eichner 1988: 549). The recessions, the US demand contraction and steep fall in the price of oil (which can be seen in this graph) were the real reason US inflation fell from a peak of 14.8% in March 1980 to 4.6% in November 1982, and not because money supply growth rates were brought under control in the way imagined by monetarism or the quasi-monetarist targeting Volcker pursued. At this point, I turn to Paul Craig Roberts’s memoir The Supply-Side Revolution (Harvard University Press, 1984). Roberts was a leading supply-side economist, and Assistant Secretary of the Treasury for Economic Policy from early 1981 to January 1982, under the Treasury Secretary Donald Regan. “Secretary Regan, Undersecretary Sprinkel, and I are on the public record in testimony before Congress stating that our monetary assumption and the policy we requested from Federal Reserve Chairman Paul Volcker was a gradual 50 percent reduction in the growth rate of the money supply spread over six years. Yet, oddly enough, when I testified before the Senate Budget Committee on March 5, 1982, Chairman Domenici was surprised to hear my statement of the administration’s monetary assumption. He seemed to think that we had supported the very tight monetary policy during 1981, when Volcker collapsed the growth of the money supply to zero for six months of the year….” (Roberts 1984: 115–116). There is no way the President can carry out the main points of his administration …. Unless the Federal Reserve provides the right kind of monetary policy. The right policy is stable moderate and predictable money growth … Volker should manage the affairs of the Fed so that uncertainty is reduced … There is no excuse for failure. If the Fed fails, the Reagan Administration fails. Unfortunately our fears were realized. Instead of evenly spreading the reduction in money growth over a six-year period, the Federal Reserve delivered 75 percent of the reduction in the first year. In November 1981 the Treasury staff reported that the main monetary measure, called M1-B, which consists of currency plus all kinds of checking accounts, had fallen over the previous six months, for only the second time since 1959–60. There was actually less money in the economy in October than there had been the previous April. The growth in M1-B over the year was meagre, roughly equivalent to figures for the recession years of 1970 to 1975. This was ferocious indeed and, with the tax cut delayed, recession inevitable (Roberts 1984: 116). Two points emerge from this. First, Roberts claims that Volcker never implemented the monetary policy that Treasury demanded of him in 1981. Secondly, if the Reagan administration’s stated and intended monetary policy was never implemented, then in no sense can Reaganite apologists claim it was a success. A policy never even implemented cannot even meet the first criterion for judging the success of action, if one’s intended action was never even taken. So Reagan and his administration deserve no credit for the fall in inflation rates that occurred in 1981 and 1982. That was the result of Volcker’s policies. Moreover, in October 1982, as disaster loomed, the economy was collapsing (and yet to even reach its trough), and Mexico was on the verge of defaulting (which would have bankrupted certain large US banks), Volcker abandoned his quasi-monetarism and returned to a discretionary interest rate policy, through the Federal funds rate (which had always been the main policy instrument before 1979). The Federal funds rate was lowered significantly by the end of 1982. Years after this disaster, Milton Friedman was interviewed by the Financial Times (7 June 2003). He stated: “The use of quantity of money as a target has not been a success, ... “I’m not sure I would as of today push it as hard as I once did.” Pity it took him 21 years to realise what was obvious to many other people. II. Supply-Side and Military Keynesian Period, 1982–1989With the collapse of quasi-monetarism at the Fed, the Supply-siders in the administration came to have more influence, especially after Reagan overruled the fiscal conservative David Stockman in November 1981 (Roberts 1984: 193). In 1981, the “Economic Recovery Tax Act” had already passed Congress on August 4 and signed by Reagan on August 13. “The reduced tax revenues and the resulting budgetary deficits—at the state and local level as well as at the federal level—nonetheless served to cushion and eventually even to help reverse the cyclical downturn. To this extent, fiscal policy continued to function as an automatic stabilizer” (Eichner 1988: 548). “The rationale for the 1981 legislation was the “supply-side” argument that a reduction in tax rates would encourage greater savings, leading to a higher rate of capital formation. The savings rate has, however, declined sharply since 1981. Personal savings are currently only 3 percent of disposable income. No less embarrassing for the supply-siders has been the behavior of business investment. While expenditures on new plant and equipment have recovered from their precipitous fall during the recession and have even enjoyed a modest, though brief, boom, the trend growth rate remains unchanged at 3.5 percent” (Eichner 1988: 551–552). “The lower tax rates have not generated more tax revenue as the supply-siders, pointing to the supposed Laffer curve, claimed they would. Indeed, it has been the failure of the lower rates to produce a larger tax yield and the resulting federal budget deficits which, in a more orthodox Keynesian manner, have provided the stimulus for the current economic expansion” (Eichner 1988: 553). So what we in fact had was a supply-side faction in the Reagan administration whose policies, when combined with Reagan’s military spending, provided a Keynesian stimulus to the economy. The recovery that began in December 1982 was caused by Volcker’s abandonment of monetarism and lowering of interest rates, automatic stabilizers, military discretionary spending, and tax cuts, which all drove the US budget into deep deficits. This is a standard package of Keynesian stimulus and its major component was countercyclical fiscal policy, though of course of a highly conservative variety. Reagan’s tax cuts favoured the wealthy and significantly increased income inequality in the US. Military spending was wasteful and inferior to social spending and public works. The victory of military Keynesianism and huge budget deficits in Reagan’s presidency, and his failure to significantly cut total spending, is reflected by the disillusionment of one of the administration’s leading fiscal conservatives, David Stockman, the Director of the Office of Management and Budget from 1981–1985. Stockman resigned in 1985, thinking that the “Reagan Revolution” had failed. As for Reagan, he continued until 1989, unaware to the end, I bet, that his policy mix after 1982 was unintentional, big-spending conservative Keynesian economics. Hey, big spender. It is indeed true that the Supply-Siders quickly became apologists for Reagan’s deficits, when tax revenues failed to be boosted significantly by the tax cuts of 1981. Finally, it should be noted that, compared with the very extreme free market Austrians, everyone in their world is an “evil” interventionist – even mainstream Monetarists and Supply-Siders! “The two professional economists who had the first insights into supply-side economics were the University of Chicago trained economist, Norman Ture, and the Canadian economist, Robert Mundell, a Nobel prize-winner in economics …. Supply-side economics corrects a fundamental mistake in Keynesian economics. Most everyone has heard of supply and demand, but Keynesian economics, known as demand management, left out supply …. Supply-side economics established that fiscal policy shifted the aggregate supply schedule. In his famous economic textbook Nobel economist Paul Samuelson included me and a diagram showing that supply-side economics was an argument that fiscal policy shifted the aggregate supply curve in contrast with the Keynesian emphasis that it shifted the aggregate demand curve. Samuelson declared that the real argument was over the magnitude of the shift. In other words, the most famous American economist of the 20th century accepted the supply-side theory and said its importance for economic policy depended on its magnitude. Several economists provided empirical evidence of the magnitude, but the disappearance of worsening trade-offs between employment and inflation settled the issue for most. Paul Craig Roberts, “What is Supply-Side Economics? Bush Hides Behind Supply-Side to Reward His Cronies,” Counterpunch, February 25 / 26, 2006. It seems to me that Supply-Side economics was seen by its supporters as essentially a complement to and correction of the neoclassical Keynesian synthesis. Eichner, A. S. 1988. “The Reagan Record: A Post Keynesian View,” Journal of Post Keynesian Economics 10.4: 541–556. Galbraith, J. K. 2008. The Predator State: How Conservatives Abandoned the Free Market and Why Liberals Should too, Free Press, New York. Hakes, D. R. and D. C. Rose, 1992–1993. “The 1979-1982 Monetary Policy Experiment: Monetarist, Anti-Monetarist, or Quasi-Monetarist?,” Journal of Post Keynesian Economics 15.2: 281–288. Kaldor, N. 1976. “Inflation and Recession in the World Economy,” Economic Journal 86 (December): 703–714. Musella, M. and S. Pressman. 1999. “Stagflation,” in P. Anthony O’Hara (ed. ), Encyclopedia of Political Economy: L–Z, Routledge, London and New York. 1099–1100. Roberts, P. C. 1984. The Supply-Side Revolution: An Insider’s Account of Policymaking in Washington, Harvard University Press, Cambridge, Mass. and London. Schwartz, A. J. 2005. “Aftermath of the Monetarist Clash with the Federal Reserve Before and During the Volcker Era,” Federal Reserve Bank of St. Louis Review, 87 (2 Part 2; March/April): 349–351. Wray, L. R. 2003, “Monetary Policy: An Institutionalist Analysis,” in Marc R. Tool and Paul Dale Bush (eds), Institutional Analysis and Economic Policy, Kluwer Academic Publishers, Norwell, Mass. 85–114.